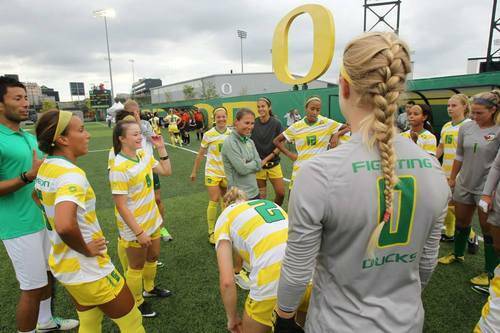 Join the University of Oregon Women’s Soccer High School Residential Elite Camp this summer. It is open to all 14 years old or older girl soccer players. It is a 4-day camp starts on July 17 and ends on July 20, . In general, the camp is a ground to experience soccer in a collegiate level atmosphere. It is aiming to help players advance their technical and tactical capabilities. The women’s soccer coaching staff will provide a thorough evaluation for each participant. It will not only provide technical and tactical sessions but also athletic nutrition. Discussion about college recruiting procedures is also part of the program. There will also be sessions will focus on goalkeepers. Coaches from other universities are also attending to impart their knowledge. The University of Oregon is a public university in Eugene, Oregon. It has 5 colleges, namely, Arts and Sciences, Business, Design, Education, and Honors. The university has 7 professional schools. They are Accounting, Architecture and Environment, Art and Design, Journalism and Communication, Law, Music and Dance, and Planning, Public Policy and Management. And, it also has a graduate school. The university is 103rd in the National Universities rankings. It is also 209th in Forbes’ national rankings. Currently, it accommodates around 23,500 undergraduate students. In athletics, the university has a total of 14 teams. The teams are competing in Pac-12 of NCAA Div I. The university has already 28 NCAA team championships. In addition, it has also 60 NCAA individual champions in track and field event. They call themselves the Ducks or Fighting Ducks. Green and yellow are the university’s identity colors. Kat Mertz is the head coach of the women’s soccer team. will be her 5th year as Head Coach of the Ducks. Her coaching style is making the team one of the best in defense in the Pac-12 conference. Then, the team’s assistant coach is Katie Hultin. Join the University of Oregon Women's Soccer High School Residential Elite Camp this summer. It is open to all 14 years old or older girl soccer players.